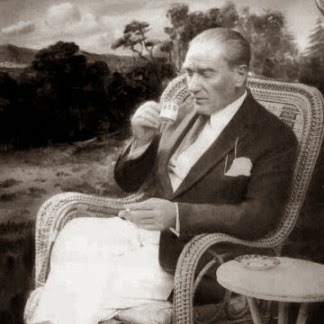 Although the early history of coffee is one surrounded by many claims and much legend, it is generally agreed upon that the world's first coffeehouse opened in Istanbul, Turkey (then still Constantinople) around 1554-1555, due in no small part to the Ottoman Empire's conquest of that city 100 years earlier and the immediate influence that overtook the former Byzantine capital. It would take Western Europe another 100 years to catch up with the Ottomans in this regard before the first coffeehouse west of the Balkans opened in Venice, Italy in 1645. Austria and England soon followed suit and by the 18th Century coffee consumption was conspicuous throughout both the New and Old Worlds. But the Turkish coffeehouse occupies a very special place in history. Dating all the way back to the 16th Century, it has provided the template that is still closely followed in current times. 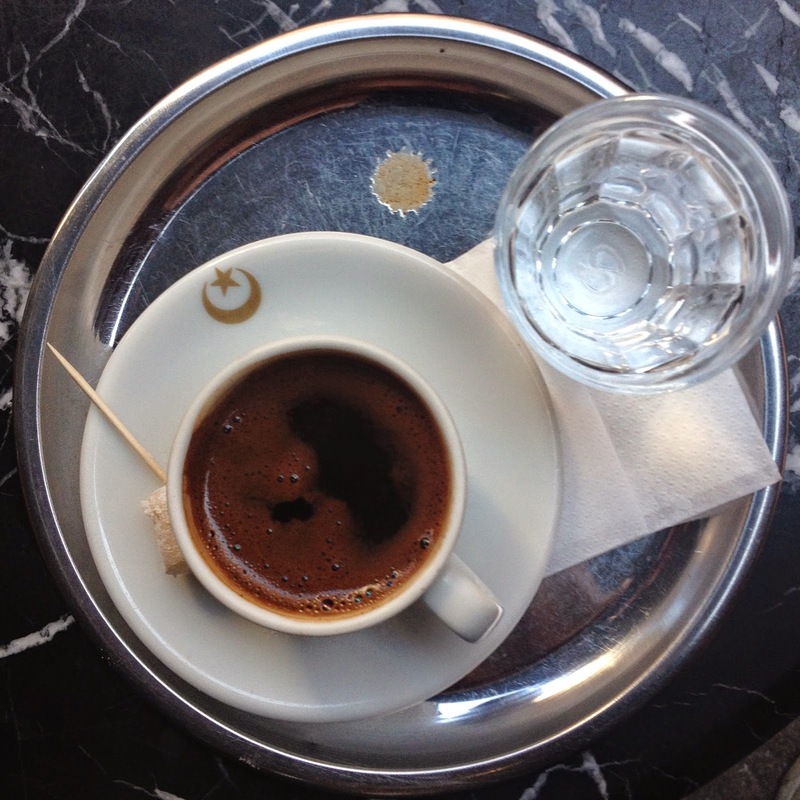 The coffeehouse was established in Istanbul as a public place of gathering, where art and politics were discussed, leisure was pursued, and - of course - coffee was sipped. It is a grand tradition and one that nearly every culture has co-opted to some extent over the subsequent 500 or so years. 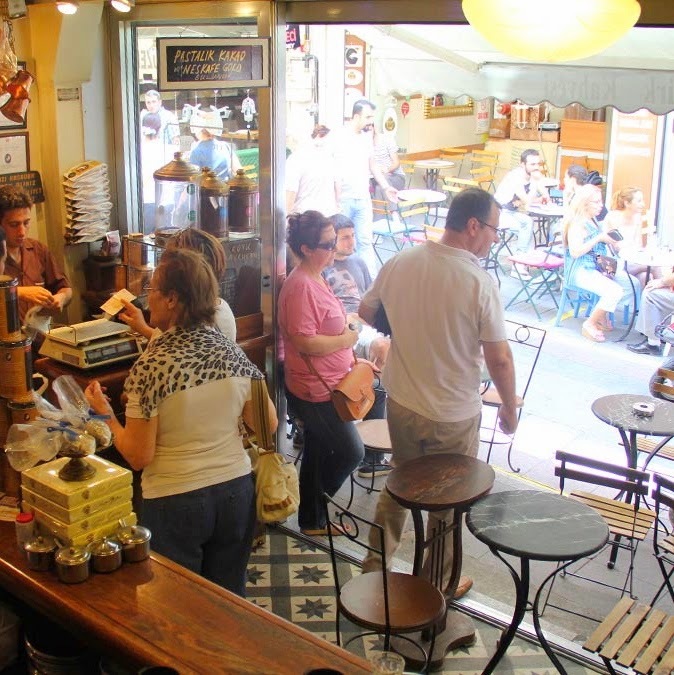 However the current state of the coffeehouse in Istanbul is one of transition. For years now, the traditional shops have often perceived as as old-fashioned and have been slowly disappearing from the intricate landscape of the city. In their place have moved the usual suspects: multinational conglomerates proffering contemporary Italianate blends in oversized to-go cups. Convenience has replaced conversation. Some of the youth have reacted by creating the same sort of coffee culture that one sees in San Francisco - namely premium coffee served in a very contemporary, hip setting. While the result can be rather pleasing - both aesthetically and to the palate - the result is remarkably similar to what would find in The Mission or The West Village. All that said, there do exist some lingering examples of Istanbul's rich coffeehouse tradition. It takes some looking for sure and even then it takes some additional digging to find the good stuff. 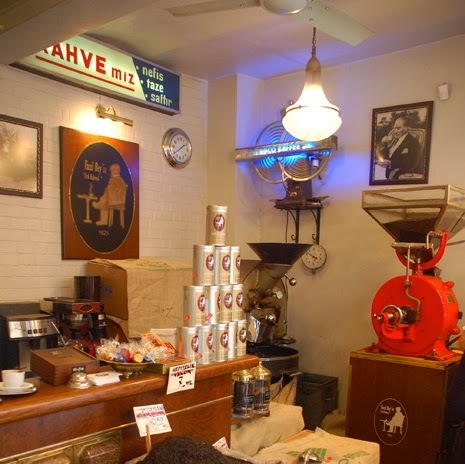 Fazıl Bey'in Türk Kahvesi roughly translates to Fazil Bey Turkish Coffeehouse in English and has been roasting, grinding, and serving its own coffee - in the Turkish manner - since 1923. 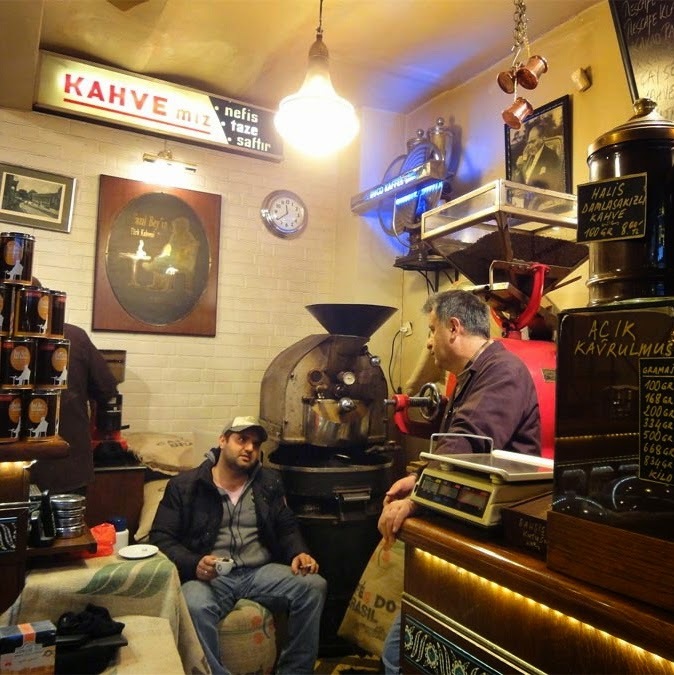 And while that provenance may not seem much for a city that reaches back centuries, it is a very long time for coffeehouse in Istanbul that is still in operation. The arabica beans are imported from Brazil, which makes some sense as 1920 reflected Brazil's peak in supplying the world coffee. Roasted an arm's distance from where the coffee is prepared and just a few feet from where it is served, this simple 2-floor building is a modern marvel of efficiency. It somehow manages to be both cluttered and crowded as well as clean and inviting at the same time - it's clientele a mix of students, businessmen/women, more adventuresome tourists, and wizened old-timers. The coffee? Some of the best that this writer had the pleasure of sampling during a recent weeklong visit to the city. A deep, rich flavor with hints of chocolate. The consistency lacked much of the grittiness that is endemic to the preparation process, while still maintaining body and the frothy head. It's color was a beautiful, almost deep red. Presentation goes a long way and having your coffee delivered on a silver platter accompanied with a small glass of water and a piece of lokum (aka Turkish delight) certainly added immensely to a rather enjoyable visit. As Turkey continues to struggle with its own evolving cultural identity - and the more nefarious elements of its current government - this foreigner certainly hopes that these traditions are cherished and preserved. 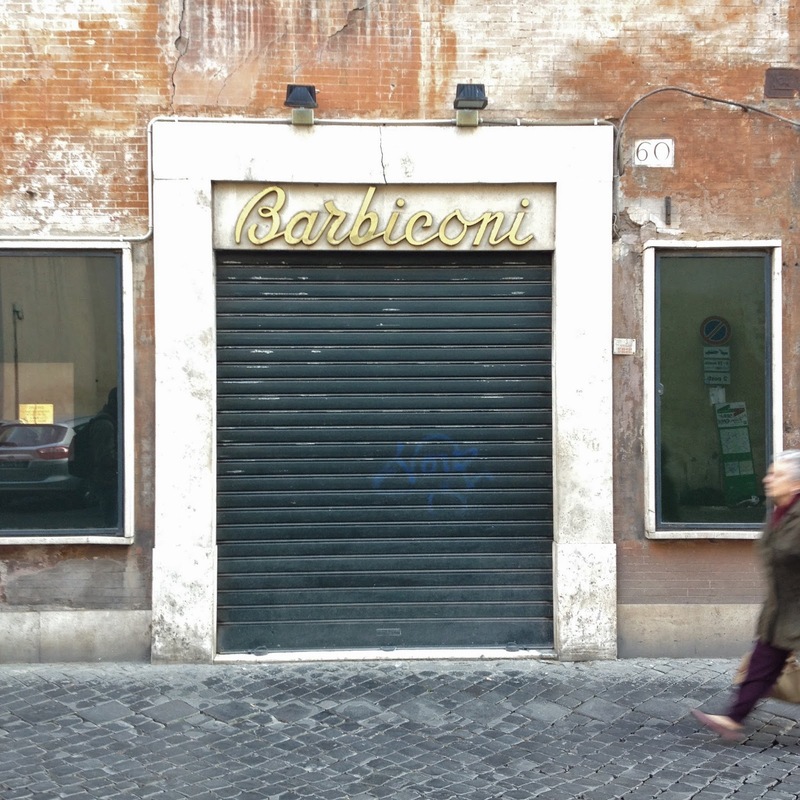 It would be hard to make a case for preservation to UNESCO, but considering the contributions these humble shops have made to the world such a mission is almost worth considering. 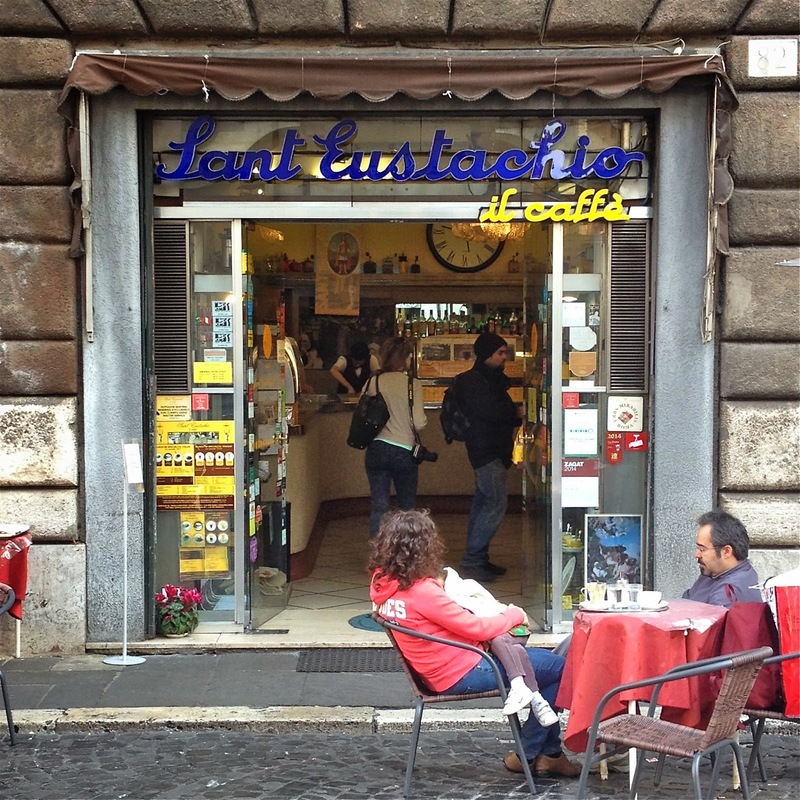 There is simply so much to love about the city of Rome. And while many are intoxicated by the smells, the sounds, or the taste of the food, what struck me most on my recent visit was the abundance of wonderful design in everyday things - beauty in a great sense of the word. Certainly, other cities have a more unified design (Berlin?) 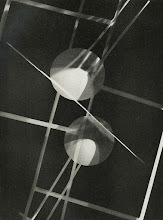 and still others may appeal to me more from a modernist aesthetic (New York? 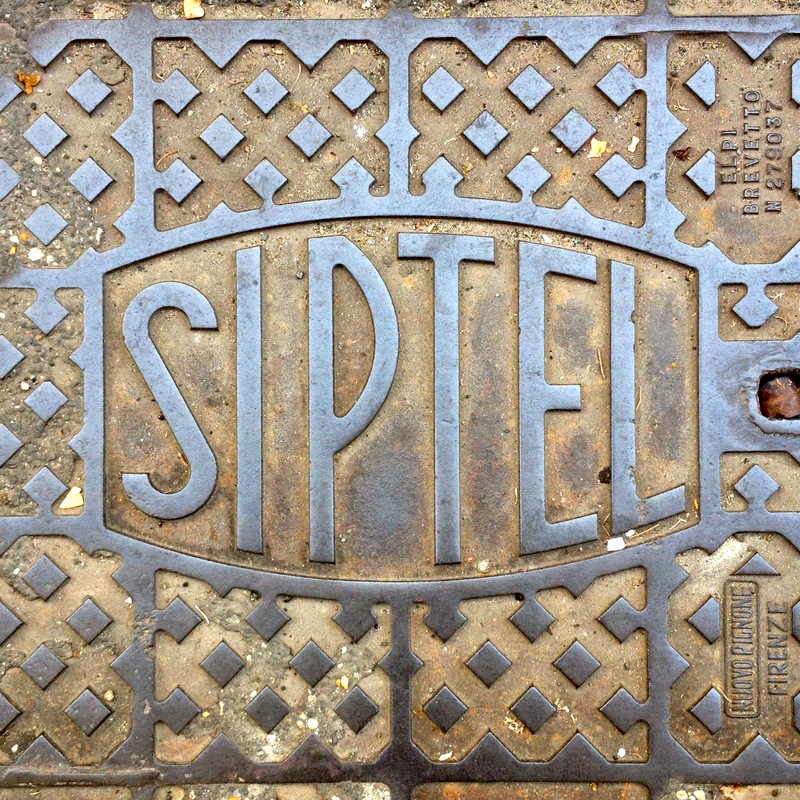 ), but the even more eternal than before city of Rome continues to blatantly disregard style guidelines with such careless aplomb that should be appreciated and applauded. Traveler's note: I HIGHLY recommend the travel guide Rome: Moods and Places published by Herb Lester Associates. Not only was it a daily part of my finding beauty in everyday objects thanks to designer Nate Luetkenhans, but it was authored by author, blogger, and friend JP Gaul who has a very unique insight to the city of Rome.